I have been interested in Brazil since a school project in primary school. And since 1999 have worked on artist’s books with the artist Ron King who grew up there. In 2009 I was lucky to visit the country on the back of launching my selected poems in translation (translator: Virna Teixeira), visiting São Paulo, Minas Gerais, and Rio. And now Ron has been talking about a clandestine Brazilian game as a potential new project. So I have become very interested and found an eye-opening book on the subject. 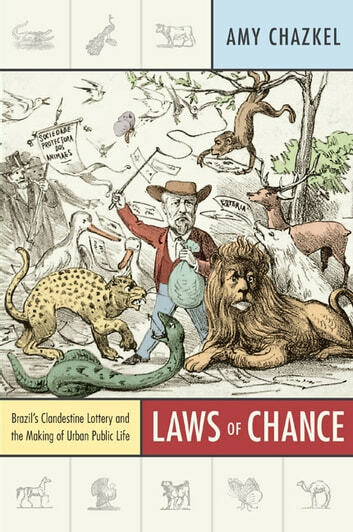 Amy Chazkel’s Laws of Chance: Brazil’s Clandestine Lottery and the Making of Urban Public Life is a history of this unique unofficial lottery which has run for over a century in Brazil, the jogo do bicho or “animal game”. Chazkel contrasts the chancy speculations of the ruling classes, where the risks are seldom existentially personal but can affect large parts of society at the burst of a bubble, with the ubiquitous, small-scale betting world of the animal game. Jogo do bicho was originally designed to fund a private zoo, soon notorious for its poor treatment of the animals in its care, but became detached from its first intent as middlemen moved in and popularlised it country-wide. Jogo do bicho was briefly legal but soon criminalised, threatening as it did various kinds of competition (though the law preferred to state moral reasons for banning it). This is a fascinating sociological work which takes a hard look at the informal economy, at policing and politicking, and at the mismatch between law and the real world. Of course, with corruption rife in the Brazilian body politic today – which is not to say that we are just perfect in the UK, far from it – and the recent election of the authoritarian-looking, big-biz-friendly, Jair Bolsonaro as President, there is much to think about in terms of life’s lottery, nevermind this actual one. I’d recommend this book to anyone interested in Brazil, but, more than that, to anyone interested in the relationship between moral outrage, commercial interest and patterns of actual behaviour in the real world. This isn’t by the way a statement saying betting is nothing to worry about (there are half a dozen sorry betting shops in a five minute walk on my high street and I think that’s quite a few too many, and who knows how online betting can be regulated when children are being taught its basic techniques as educational video games, perfect tenderised fodder for the digital monster of bet or buy). But this book certainly places betting in a broader context and it brings the courts of Rio in the 20th century, where judges often had to overturn zealous police decisions, to vivid life. Other books. I have also enjoyed James Kelman’s very moving novel Dirt Road, where the elements of music – skill, mystical concentration, camaraderie and aural beauty – are a balm for the heartbreak of the teenager at the heart of the tale. 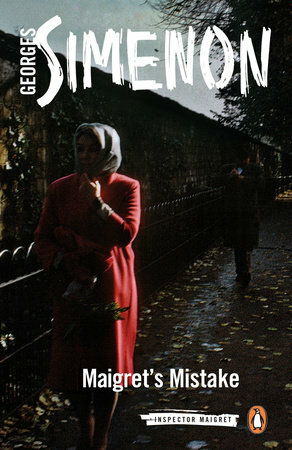 And for the first time I read a Georges Simenon Book, Maigret’s Mistake (translated by Howard Curtis), and found a detective almost unjudging and certainly fallible, but always moving through society’s compartments as if there were no walls between them; excellent. I read this book last week and it was superb.